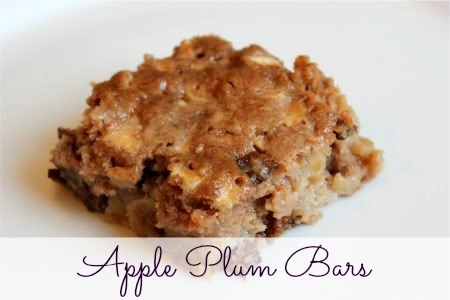 One of Kate’s favorite snacks are these apple plum bars. I started making them for her when she was just beginning solid foods. They’re soft enough that they make a great finger food, and delicious enough that the adults don’t mind finishing up the leftovers–on the rare occasion that there are any! Cream butter and brown sugar. Mix in egg and milk. Mix in dry ingredients. 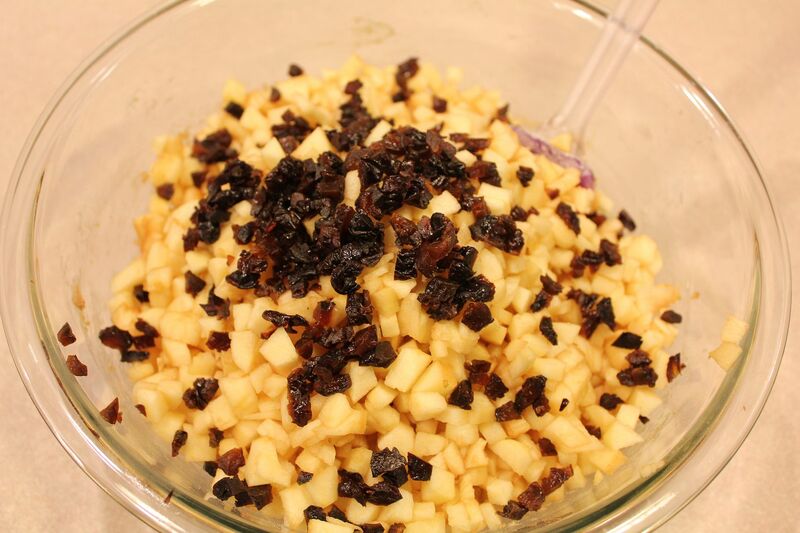 Add chopped apples and finely chopped dried plums. Mix thoroughly. Bake at 350 degrees for 25 minutes or until cooked through. Cool for 10 minutes before cutting. Freeze leftovers. Be sure to chop apples into pieces that are small enough for your child. 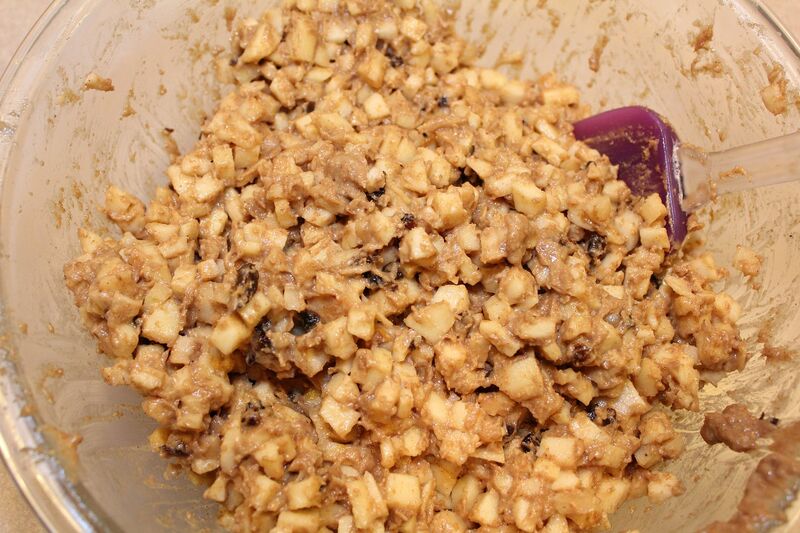 I recently made a batch where I tried to chop the apples with my food processor. 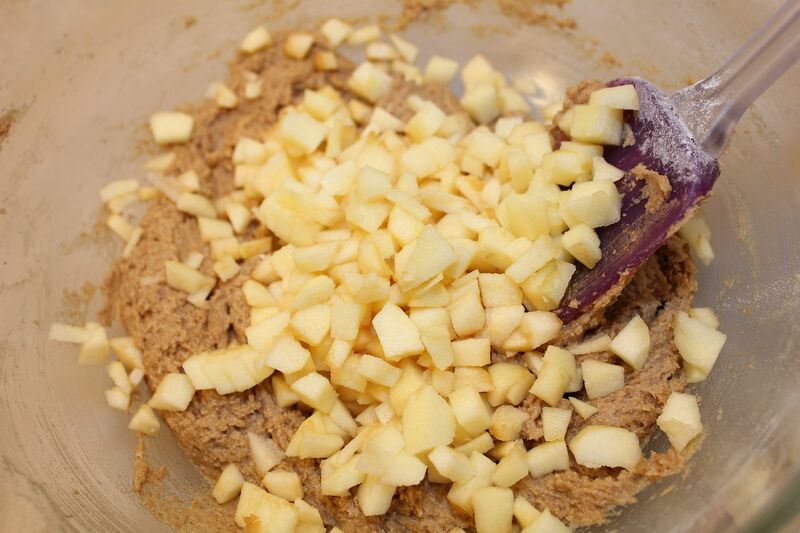 It wasn’t the best technique for chopping (they turned out more minced/nearly pureed), so I only did a couple that way and added them to the bowl, and then chopped the rest of the apples with a knife. 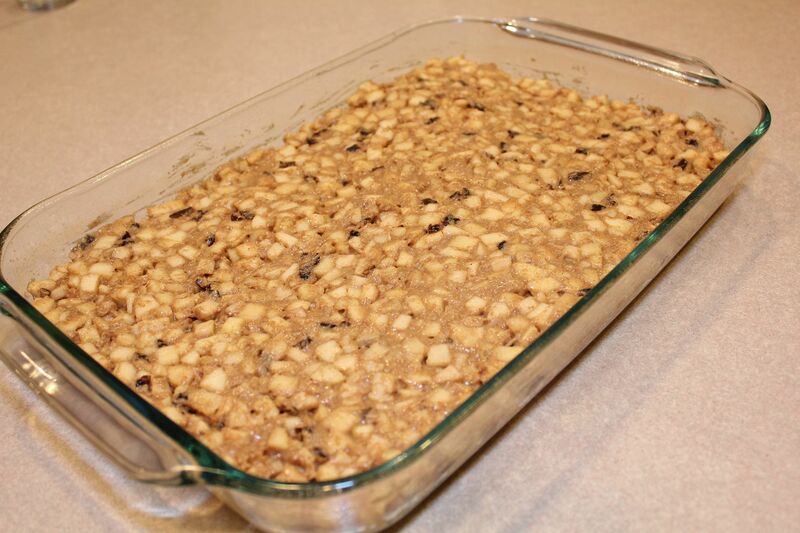 The batch turned out extra moist and extra apple-y, so I think I’ll do it that way again next time. Love your blog, love the parenting insights. Thanks again! Have you froze these to pull out as needed? Just curious if they would taste good that way. 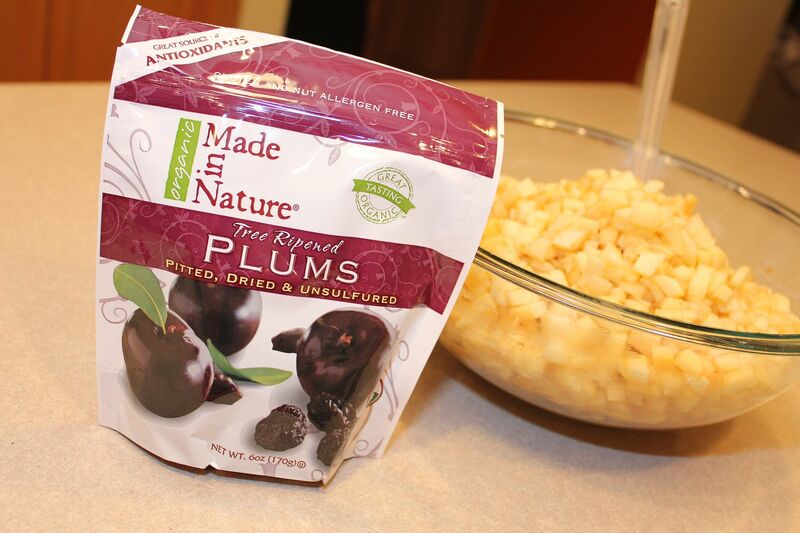 Keep the recipes coming… love them! Gah… please forgive me for asking… just saw the “freeze leftovers”… it’s a Monday morning, and apparently my rear end still needs to be in bed! Ha! These sound awesome, I’m going to try them for Ethan too! ooh I am going to make these for clara! she’s doing baby-led weaning and this looks right up her alley. Those look great! Do you think it would work to grate the apples to save time? 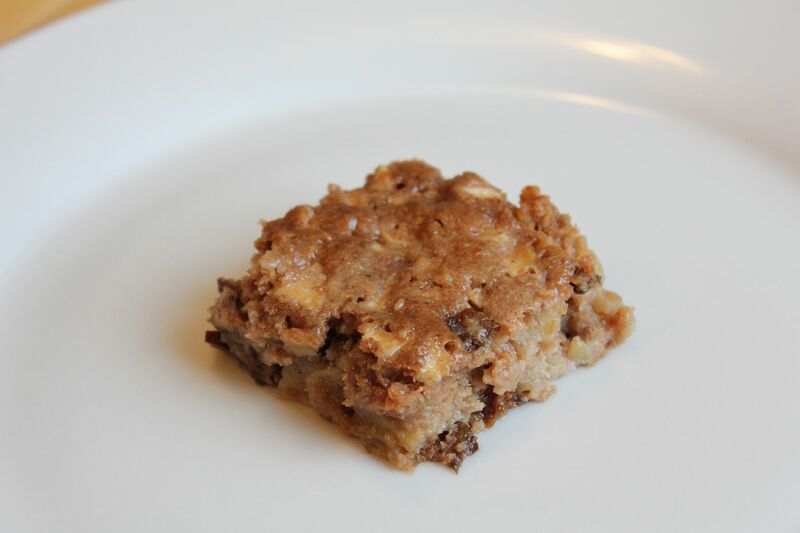 I often do this for apple cinnamon muffins so I figure it could work for these bars too. It seriously takes me 25% of the time to grate rather than chop. These look delicious! Do you think the egg is very necessary? my daughter is allergic to eggs. Thank you Chrissy, so glad you’re enjoying the saltines recipe! @Amanda M–Hahaha, looks like you found the answer to your question. 😉 I’ve kept these in the freezer for 2-3 months without any problems. @Windy City Kelley’s & Ginger–Hope your kiddos like them! @Lucky Girl–Grating the apples is a BRILLIANT idea! Thank you for sharing that. I’m definitely going to try it that way the next time I make this. Scroll to the bottom to see what your options are. I used the 1 T. baking powder, 1 T. water, 1 T. vinegar method since those are things I already had on hand. You may also want to consider adding a little applesauce for binding. Hope that helps!